The Barossa Vintage Festival is a fun time in our region. It is a celebration; a great combination of heritage-based events and new and exciting things to do throughout the Barossa over 5 days in April. The Barossa Wine Auction and Lunch is an integral part of the Barossa Vintage Festival, and one of the hottest tickets in town. This year the Auction is on Friday, 26 April at Lambert Estate Wines [tickets now sold out]. The lunch also includes an exclusive tasting of selected auction lots presented by the Barossa Cellar, plus a Riesling and oyster tasting hosted by Riesling Eden Valley winemakers. We never fail to have a great time at this event, enjoying great food and wine, Barossa camaraderie and watching the crowd get a little raucous as the auction progresses! The Barossa Wine Auction has been part of the Vintage Festival since 1965. Held every two years, a share of the profits from the event support the Vintage Festival and local charities. 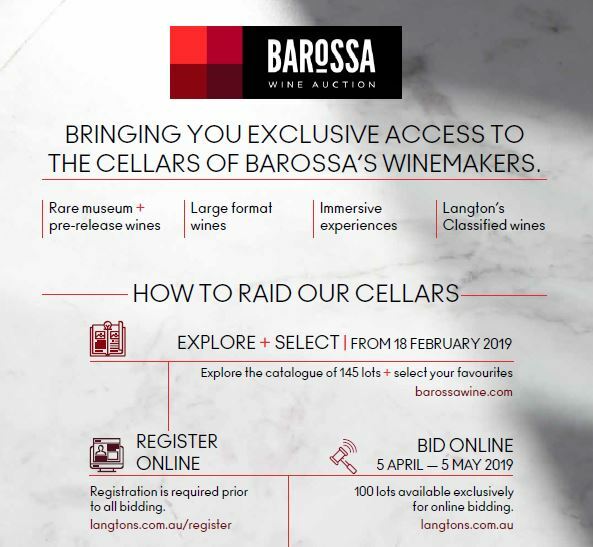 The Auction offers a unique opportunity to bid on iconic wines from the Barossa’s most celebrated winemakers. It features wines straight from winery and winemakers’ cellars, including rare vertical collections of back vintages, large format bottles and special releases. There are also a number of experiences up for auction this year, which is exciting. One of these experiences is from us! 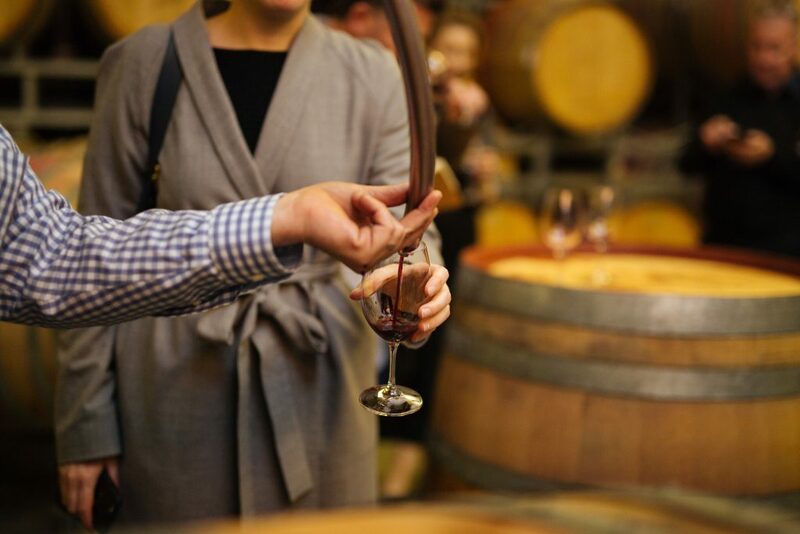 Join Allister and Richard for a private vineyard tour and barrel room tasting of our Elite Range wines – including current vintage, back vintage and barrel selections. This experience is available for up to 12 people. Along with the live auction, which will take place over lunch, there is an online auction through Langton’s. The online auction runs from 5 April to 5 May and offers the opportunity for those who cannot attend the lunch to place bids. The online auction is available to anyone, worldwide! Freight is available through Langton’s, to get your purchases to you. To bid in the online auction – register with Langton’s. You can view our Command Experience lot on line at langtons.com.au. To learn more and look at the full auction catalogue visit barossawine.com and see all the amazing wines and experiences that are available! 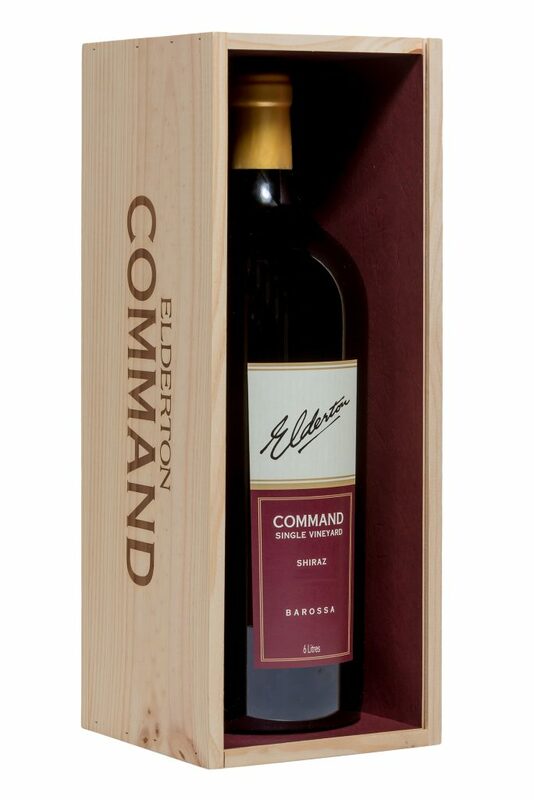 If you’d like to discuss any of this further, or would like to chat about the Command Experience, please contact Jess via jess@eldertonwines.com.au.